HRH The Princess Royal has been a Patron of the Trust since its inception in 1985. The Princess has presented the Awards every year since the Trust was launched in 1985. In recent years the Ceremony has generally been held at Buckingham Palace – though other venues have included: St James’s Palace, the Palace of Holyroodhouse in Edinburgh and Lambeth Palace. 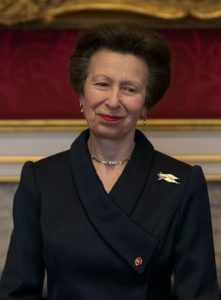 Her Royal Highness also takes a keen on-going interest in the work of our Award Winners and Commendees and makes regular visits to their places of work, in prisons, probation and youth justice settings across the UK.